Saoirse and Lucas Are Both Little Spoons, So What Does That Mean for Me?Unfortunately for us. Ben Is Back Is Superbly EffectiveI can’t remember ever having seen Julia Roberts work this hard. Cats Fan Lucas Hedges Performs the Song of Rum Tum Tugger, the Cat Who F*cksCast him in the movie, you cowards! Lucas Hedges Is Remarkable in Boy ErasedHe has a difficult job — to portray a teenager whose best option is to reveal nothing of himself. See Lucas Hedges and Julia Roberts in Ben Is Back TrailerNot everyone is happy about Ben’s return. Can Timothée Chalamet and Lucas Hedges Score With Oscar a Second Time?With Beautiful Boy and Boy Erased, Chalamet and Hedges are hoping to prove the Academy’s flirtation with nominating young actors is not just a phase. 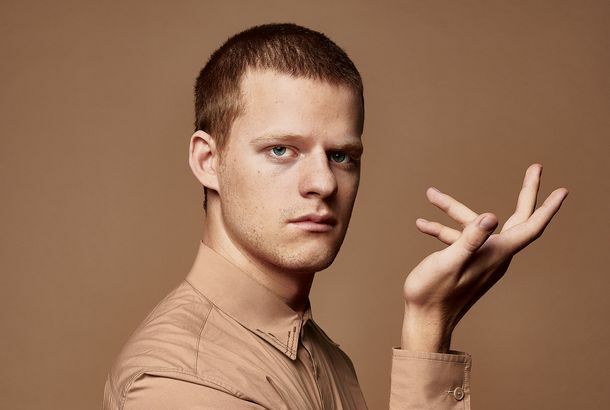 Will Lucas Hedges Survive the Fall?He’s in three movies and making his Broadway debut — very neurotically — in The Waverly Gallery. Mid90s Trailer: Jonah Hill’s Skateboarding Coming-of-Age Directorial DebutYouth, skateboarding, and older brothers. Boy Erased Trailer: Kidman and Crowe Send Lucas Hedges to Conversion TherapyBrace yourself. Sterling K. Brown and Lucas Hedges to Star in the Coming-of-Age Musical WavesAnd the score will be provided by Trent Reznor and Atticus Ross. Shia LaBeouf and His Comb-over Are Unrecognizable in This New BiopicLaBeouf plays his dad in Honey Boy. Oh Dang, Elaine May Is Coming Back to BroadwayLila Neugebauer will direct Kenneth Lonergan’s The Waverly Gallery. Lady Bird’s Lucas Hedges to Star in Shia LaBeouf’s Film About Shia LaBeoufShia LaBeouf will play a character based on his own father in the movie. Warm Your Icy, Jaded Heart With This Video of Greta Gerwig Directing Lady BirdAhem, may we have the envelope please? Ben Platt, Noah Galvin, and Taylor Trensch Made a Whole Disco Video ThingIt’s a lot all around. Manchester by the Sea Is Unrelenting in Its BleaknessCasey Affleck proves he can convey suffering as well as any actor alive.